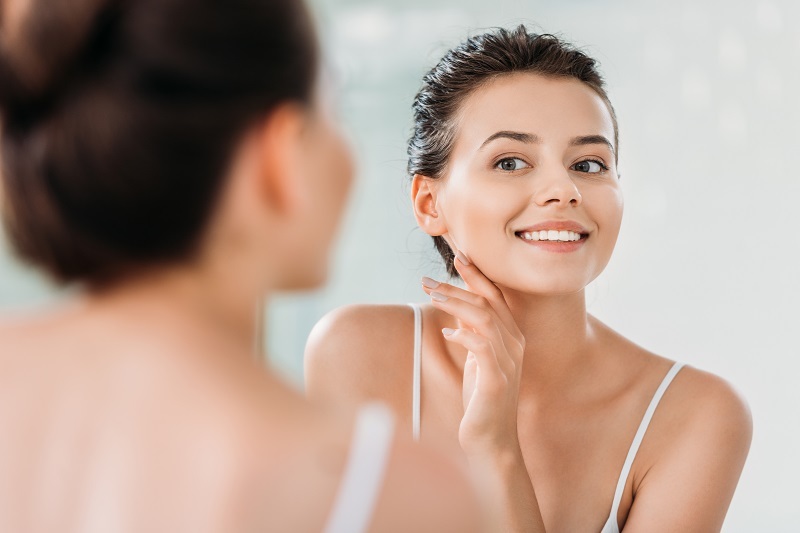 Restylane® fillers – which are manufactured by Galderma, a global force in pharmaceutical cosmetic innovation – offer patients an effective way to fight signs of aging and enhance their features. When administered by a skilled injector like Dr. Shaun Patel, Restylane can deliver natural, beautiful results. At Miami Skin and Vein, we want to help you look like the most rejuvenated, youthful, and confident version of yourself. Dermal fillers help us achieve this goal by correcting your top cosmetic concerns without surgery. We can smooth wrinkles, reduce the appearance of fine lines, add volume to your lips, and more with Restylane. Each Restylane filler is designed for a specific purpose. To learn more about what Restylane filler may be right for you, please call 786-618-5039 to schedule your individualized consultation. We happily welcome patients from Miami, Coral Gables, Miami Beach, Fort Lauderdale, and nearby areas of Florida. How Much Do Restylane Treatments Cost? A Consultation Appointment Is Just a Phone Call Away! Restylane products are safe and effective clear gel fillers that are made of hyaluronic acid (HA). Hyaluronic acid naturally occurs in your skin and is responsible for a youthful, supple appearance. This vital component provides hydration, fullness, and elasticity. Unfortunately, your body can’t produce hyaluronic acid like it did when you were younger. In fact, hyaluronic acid production can begin to decline in your 20’s. Thankfully, you can replenish what you’ve lost with Restylane injections. Restylane injections instantly add volume beneath the surface of your skin. This volume can smooth out lines and wrinkles, plump sunken skin, or provide a subtle boost to areas such as your lips and cheeks. Hyaluronic acid is having a moment in the beauty and skincare communities. The chances are high that you have a hyaluronic acid product in your cabinet right now. A daily skin care regimen with high-quality products is essential for healthy, radiant skin. Yet nothing that comes in a jar or tube can match the rejuvenation effects of artistically placed injectable fillers. Dr. Patel begins with an unhurried consultation to understand your concerns. He examines your face and watches you make various expressions, and he also analyzes your skin. No allergy testing is required before receiving a Restylane treatment. That is because Restylane contains a component that is already found in your body – hyaluronic acid. Topical numbing cream is applied. The doctor determines injection sites. The product is precisely placed beneath the skin. Treatment time depends on the area and number of injections, but the entire visit is typically less than 1 hour. Dr. Patel’s patients see immediate results after the first treatment, for a fraction of the cost of surgery. This fresh, more youthful appearance comes with no downtime and minimal risk of side effects. Restylane may be used alone or in combination with other fillers and treatments as part of a tailored, comprehensive, non-surgical rejuvenation plan. Dr. Patel is experienced in these techniques, for both men and women. At Miami Skin & Vein, we know that no two people have the same facial aesthetics or cosmetic goals. That is why we offer a wide range of Restylane products to address your unique needs. Dr. Patel will work with you to determine the best filler – or combination of fillers – for you. As a Presidential Level injector, he understands the unique differences between the top Restylane products. Dr. Patel and his team are available to assist patients in enhancing their appearance when fines lines, wrinkles, and folds appear. We encourage patients to consider the advantages of using injectables including the popular Restylane. This filler can also naturally improve your features, even if you have not yet started to see signs of aging. A liquid rhinoplasty – also known as a non-surgical nose job – is an incredibly popular and highly requested treatment at our practice. Many people want to correct visible humps, depressions, or other common concerns that they may have with their nose. However, few people want to resort to surgery. The good news is that surgery isn’t necessary. Dr. Patel can expertly place Restylane injections to give your nose an elegant new shape. Prepare to love the way you look – especially in profile! Fine lines around the lips can be a concern for patients who want a more youthful appearance. When these lines detract from one’s look, it can cause patients to feel insecure about their aging skin. Another common concern is a lack of fullness in the lips. These days, a plump pout is an indisputable sign of beauty. Restylane® Lyft is specially formulated to treat two common signs of aging: volume loss in the midface and volume loss on the back of your hands. Formerly known as Perlane-L®, this filler can instantly plump these problem areas. Hands are one of the first areas to show signs of aging. Veins, bones, and wrinkles become more pronounced due to volume loss beneath the skin. As a result, your hands may look older than you desire. One of the biggest reasons that hands show aging is a loss of fullness beneath the skin. This decrease in volume causes skin laxity and can make veins more noticeable. Unfortunately, skin aging is unavoidable. However, you can restore a more youthful and supple appearance to your hands with Restylane Lyft injections. Restylane Lyft is a thicker formulation of Restylane, allowing for an additional lift of sagging skin and correction of volume abnormalities. It is also injected deeper than other Restylane products. Restylane Defyne is FDA-approved for filling deeply set facial lines from corners of the mouth to the chin (marionette lines), and from nose to the corners of the mouth (nasolabial folds). Proprietary XpresHAn technology creates substantial volume with a natural appearance that does not restrict facial expressions. This HA gel flexes within the skin during facial movements such as smiling or frowning. The outcome looks soft and natural, not stiff. This is what makes Restylane Defyne ideal for filling laugh lines. Defyne is new to the United States, but it has been helping Europeans look younger since 2010 (under the trade name Emervel). Laugh lines are not funny to most of us. These creases include nasolabial folds that run from the nose to the corners of the mouth, and marionette lines extending from corners of the mouth to the chin, which add years to facial appearance. Restylane® Refyne also utilizes the proprietary HA technology called XpresHAn. This formulation has the ability to flex within skin layers. That means youthful rejuvenation with a natural appearance – no stiff look when you make facial expressions. Restylane Refyne is your new secret weapon against aging. Dr. Patel and his team at Miami Skin and Vein are eager to tell you more about how to make Restylane Refyne part of your customized cosmetic treatment plan. At our practice, a syringe of Restylane – of any type – costs $700. However, the cost of your specific rejuvenation plan will depend on several factors. Dr. Patel will discuss what you can expect to pay for your unique situation and treatment plan during your consultation. You can view our complete pricing page here. Dr. Patel is happy to discuss which type of Restylane can help you realize your ideal facial rejuvenation. Call Miami Skin and Vein at 786-618-5039 to arrange a consultation at our office in Coral Gables, Florida. We serve patients from Miami, Miami Beach, and Fort Lauderdale.